For the second week in a row, I made it down to Hollywood to catch a classic on the big screen at the Egyptian Theater. Actually there were two classics, both James Bond films from the heyday of the 1960s. 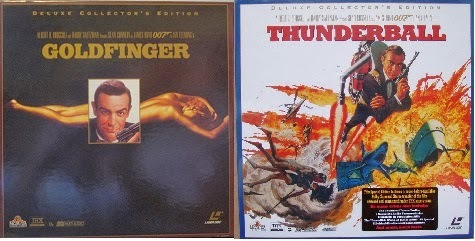 These are the two films that most turned 007 into a a massive popular cultural phenomenon and the most consistently successful film series of all time. The pairing was irresistible to me and although I could occassionally hear the snickering of hipsters in the audience over the costumes in the movies or a piece of plot line that seems a little fantastic, the general response was one of love from the hundreds of us who managed to make it there and see the first and greatest James Bond, Sean Connery. It was just last June that I saw Goldfinger on the big screen along with another Sean Connery feature “Indiana Jones and the Last Crusade”. I can and do regularly watch this film. It is as entertaining as any movie you are likely to see and it is in my opinion the greatest of all the James Bond films. I won’t relive the entire countdown to Skyfall that I did in 2012, but there are a few posts that you might enjoy here. This first is a memory piece and review that I did early in the year leading up to Skyfall. 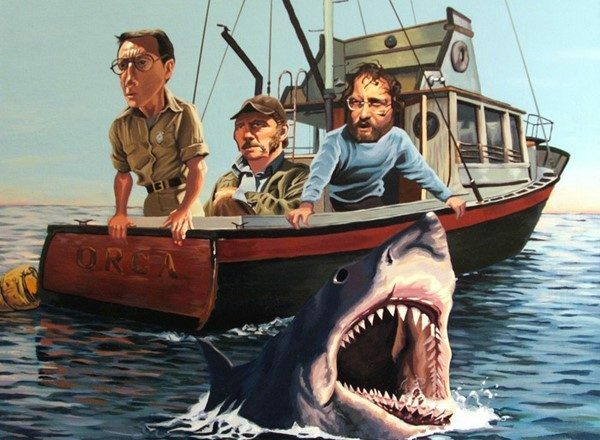 This is the KAMAD Video Blog that I posted after the Father’s Day visit to see 007 and Dr. Jones together. In the original end title credits, which featured the famous “James Bond will return in…” teaser, the next film advertised was On Her Majesty’s Secret Service (1969). However, when the producers began pre-production, they were unable to secure the Swiss locations needed for the film and decided to make Thunderball (1965) instead. The end title teaser was later changed to advertise “Thunderball”. So that mystery is solved for the moment. The original “Thunderball” was one of the biggest blockbusters of the 1960s. When adjusted for inflation it stands as the most financially successful of all the Bond movies. 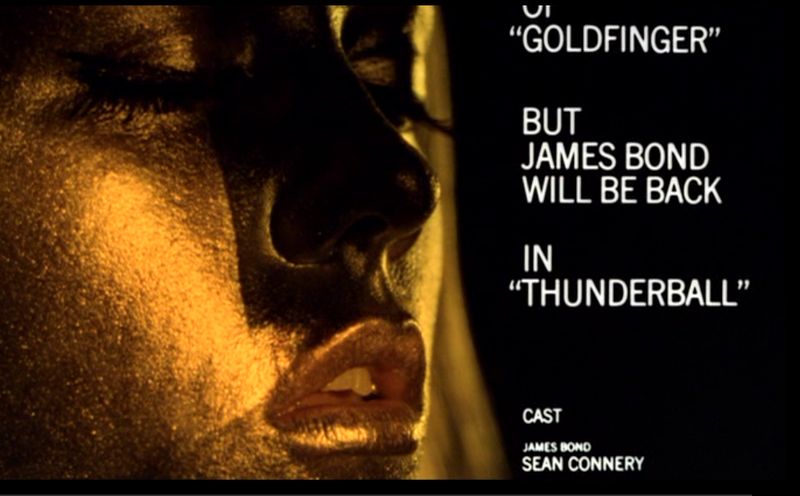 The audacity of Goldfinger was multiplied by a bigger canvas for the story telling. More exotic locations and bigger set pieces are put into place. As a kid I wanted the 007 lunchbox with all the frogmen fighting underwater. It was an image that sold all of us on the adventure we had coming. As far as I know, this is the first story to exploit the idea of nuclear terrorism. It was not of course the last. Here was SPECTRE as a real organization, with a board of directors and a chairman presiding over crime and doling out death as a punishment for failing the company. In a way, with all of the numbers, and secret locations and passwords or codes, it is the mirror image of MI6, and the bureaucracy that Bond actually represents. There are great sequences in the picture and some real imaginative gizmos in the story. The jet-pack is just so outlandish that it gives the ejector seat a run for it’s money as the most over the top toys of 007 in the early films. The miniature breathing apparatus looks like it could be practical for emergencies. Bond gets taken for a ride in an early Mustang, he has an underwater version of the jet-pack, and he gets yanked into the sky forty years before Batman uses the same technology in “The Dark Knight”. The problems with the film have to do with pacing. A slog through the stuff at Shrublands, hide and seek in the Mardi Gras like parade in Jamaica, and the underwater battle looks cool but needed some editing. “Thunderball” is like one of those great Thanksgiving meals with so many choices, that are so rich and you want to try them all. When you do, you feel a little sick afterwards. “Thunderball” doesn’t exactly make me sick, but my blood sugar is usually a little high after I watch it. I should get up and go for a walk, but I usually just fall asleep contentedly. Another blogger El Santo, did a fantastic piece on the music from “Thunderball’, that goes way beyond the theme song. I hope he is OK with my linking it here, you should read and listen. I will also mention that this film was one from my youth that I know gave me a nightmare or two. When Angelo Palazzi playing the doppelganger of Major François Derval gets stuck in the seat belt in the plane he just hijacked and landed in the ocean, Largo cuts his air hose and he drowns flailing away for help and oxygen. It gave me the creeps watching it and I dreamed about that death on more than one occasion. Sometimes there are little things that might slip by on the television screen that will not escape your attention on a screen thirty feet high and seventy feet wide. Last night I remembered one of those weird little details when the image came up for just a brief couple of seconds. There is a dog, taking a leak in the middle of a scene, and it either was too complicated to shoot it over or the editor just thought it was a lark and left it in. I went in search and fopund it on my DVD of the film and thought I’d share it with you here. 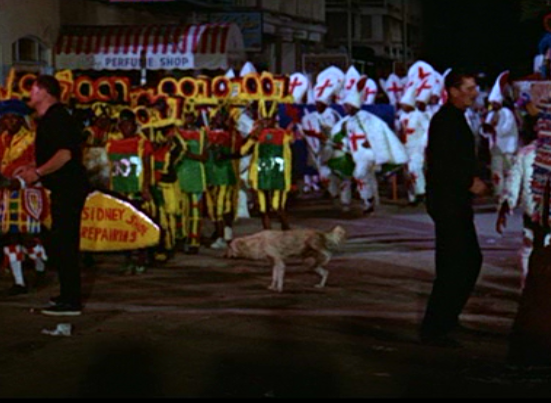 As Bond is trying to escape in the confusion of the parade, two of his pursuers are bisected in this shot by a random animal lifting it’s leg and letting it out. Amanda missed it but I have now made sure that none of you reading this will ever miss it again. 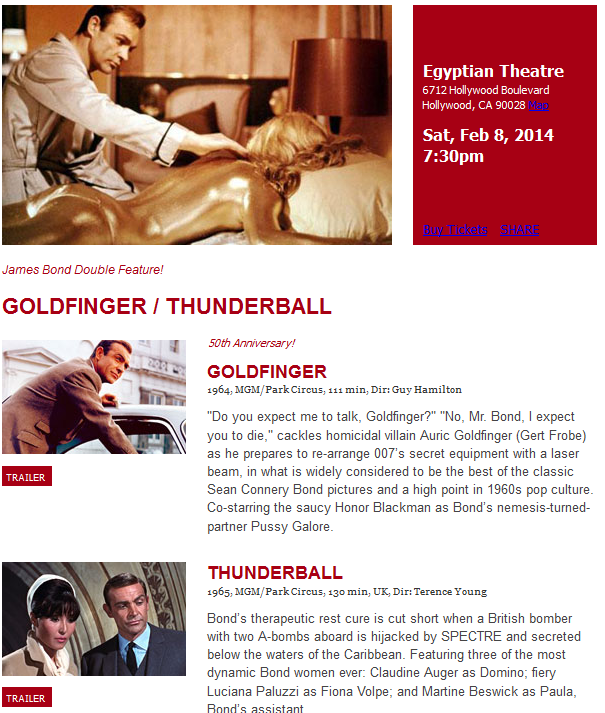 We have a long wait until the next James Bond film, but with a rich 50 year history and opportunities like this screening at the American Cinematique at the Egyptian, we will always have plenty to talk about.